Many people on weight loss programs assume that taking a carbonated drink labelled 'diet' and has zero calories, is fine. Theoretically speaking, it does not add extra calories to the diet. But, a study has found that taking 'diet' drinks can actually increase the chances of weight gain and / or waist circumference. The presumption is that a 'diet' drink can confuse the body's ability to determine calorie consumption based on sweetness. This can result in overeating of other foods due to the belief that there is room for more calorie consumption, or craving for sweetened foods. Carbonated drinks have been linked to bone health problems, too. 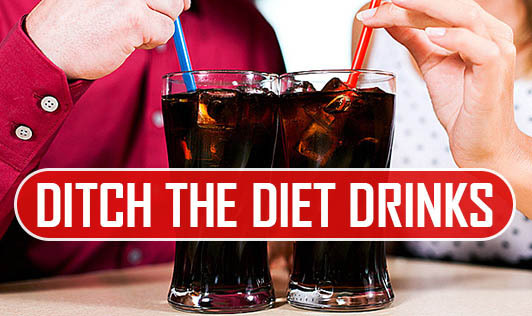 Reach out for natural beverages rather than carbonated drinks - 'diet' or regular - to quench thirst or for pleasure.